The links below provide information about transitions for children receiving services through Part C Early Steps at age three and from SCHOOL district Part B or community services into kindergarten. This tip sheet provides suggestions to help parents, teachers and administrators prepare children for transition into kindergarten. This slide show provides an overview of a systematic approach to early childhood transitions.The target audience is staff working with families who have young children transitioning from one educational setting or service provider to another. The information provided applies to early childhood transitions in general, but also includes specific information pertaining to the transition from Early Steps (Part C) to School Districts (Part B) or other community services. It includes valuable resources to help families and staff through transition processes. A guide to help community teams develop collaborative procedures for transition. 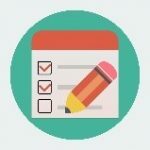 The items in this checklist represent components of the inter-agency agreement that your team should discuss at least annually, at one of the periodic mee5tings you have scheduled after the implementation of the agreement. Partners should bring to the meeting the data that is outlined in your inter-agency agreement, relevant to the Part C to Part B transition for children younger than 3 years of age, and any other information for the agreement in general. This booklet was developed by Florida’s Transition Project to assist collaborative, interagency community teams to make decisions regarding transition policies and procedures for infants, young children, and their families. The resulting policies and procedures are the basis for a comprehensive, community-wide transition system. Florida's Transition Project is funded through the Technical Assistance and Training System (TATS) by the State of Florida, Department of Education, Bureau of Exceptional Education and Student Services (BEESS), through federal assistance under the Individuals with Disabilities Education Act (IDEA), Part B.